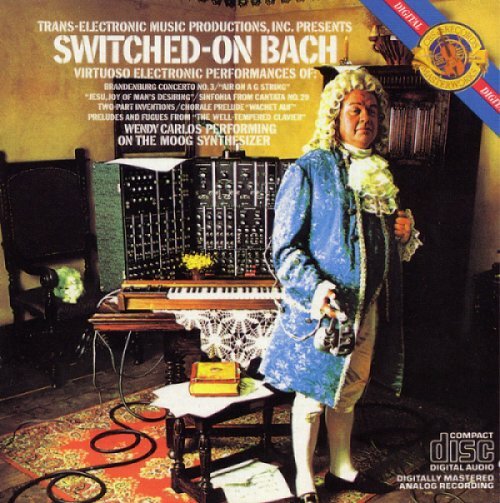 With Switched-On Bach (1968), Wendy Carlos created the first hit synthesizer album, recording, of all things, several of Johann Sebastian Bach’s keyboard masterpieces. It’s an essential album for keyboard students of all stripes. Carlos’ album went on to sell over 500,000 copies, one of the first classical albums to do so. It wound up winning three Grammy Awards, including Best Classical Album and Best Classical Performance of an Instrumental Soloist. Not bad for an album that so radically combined yesterday’s music with what at the time seemed like the “musical instrument of tomorrow” – the Moog synthesizer. Switched-On Bach is available on CD and may also be available on some music streaming services. Get your groove on … with Bach!